Robin Van Persie released a statement on Wednesday signalling his intention to end his eight-year playing association with Arsenal. “I’ve thought long and hard about it, but I have decided not to extend my contract.” He later went on to say, “I love the club and the fans.” Its comparable to saying “I love my wife, but I fancy a bit of something else”. How can you love her then? The actions of the PFA and Writers’ Footballer of the Year represent another fine example of the greed that consumes the beautiful game. I will admit that Van Persie may have affection for the club which nurtured him into the star he is today but he certainly does not love it. If he did, two things come to mind. Firstly – stay. Secondly, why is he seemingly happy to let his contract run down allowing him to move for a minimal fee? If he loved Arsenal he should, at least, have signed a new contract last season which would still allow him to ask for a transfer and would result in his ‘beloved’ Arsenal pocketing a substantial amount of cash. 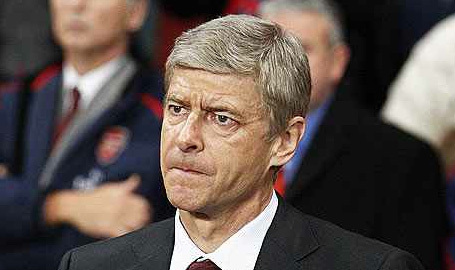 Other than Alex Ferguson, Arsene Wenger is the most successful coach in the Premiership. Yes, they have been without silverware since 2005 but Arsenal have consistently played in the Champions League and over the course of the last 10-15 years have been the neutrals pick as the team to watch. He is hardly playing for a team languishing in mid-table. Alisher Usamov, the Uzbek billionaire and second largest shareholder at Arsenal, wrote to the board attacking Arsenal’s fiscal policy. “As a top club we should, at the very least, match if not beat the offers that other clubs make to try and lure our very best players away and provide a more compelling vision for the future.” So my question is, will Van Persie will be a pauper at £130,000 per week (almost £7m per year)? There will be those who argue that in the workplace, you should aspire for the highest salary possible (given he can earn £250,000+ per week at Manchester City). Reality check here – football is NOT the same as a ‘regular’ job and it never will be. Top-end professional footballers have a God-given talent and are privileged individuals. They PLAY sport for living and are more than handsomely paid. Most of us would not earn £7m in our entire life-time if we accumulated our annual salaries for 40 years. There is a flip side to the coin. Van Persie, at 29, is at the peak of his powers and has watched team-mate after team-mate leave Arsenal, with most of them achieving success elsewhere. Samir Nasri left the Emirates last summer and won a league title nine months later along with fellow ex-team mates / mercenaries Gael Clichy and Kolo Toure (who had won the FA Cup the previous season). Cesc Fabregas also left, joining boyhood club Barcelona. Envy is a sin Robin. Whatever his reasoning, Arsenal fans now face the grim reality that the club’s captain will leave for the second, successive season. After scoring 96 league goals and providing 52 assists in 194 league games he will be sorely missed. With 30 league goals last season, it is fair to say Van Persie saved his best until last. Others would say he saved his best for the negotiating table.